Keʻeaumoku Kapu "No trespassing" signs around his newly reclaimed ancestral lands in Kauaʻula, Lahaina, Maui. Lo'i kalo or taro patches maintained by Ke'eaumoku Kapu in Kaua'ula Valley, on a separate land parcel from the land he recently reclaimed in court. "Kauaʻula Valley is one quiet little place that was historically abundant with thousands and thousands of taro patches," says Keʻeaumoku Kapu. "My lineal ties to Kauaʻula is both sides of my mother and father’s side. When the jury made the decision it was based upon my genealogical connection of five generations." A 15-year court battle on Maui came to an end for Keʻeaumoku Kapu when a jury declared him the rightful heir to a 3.5 acre parcel in Kauaʻula. 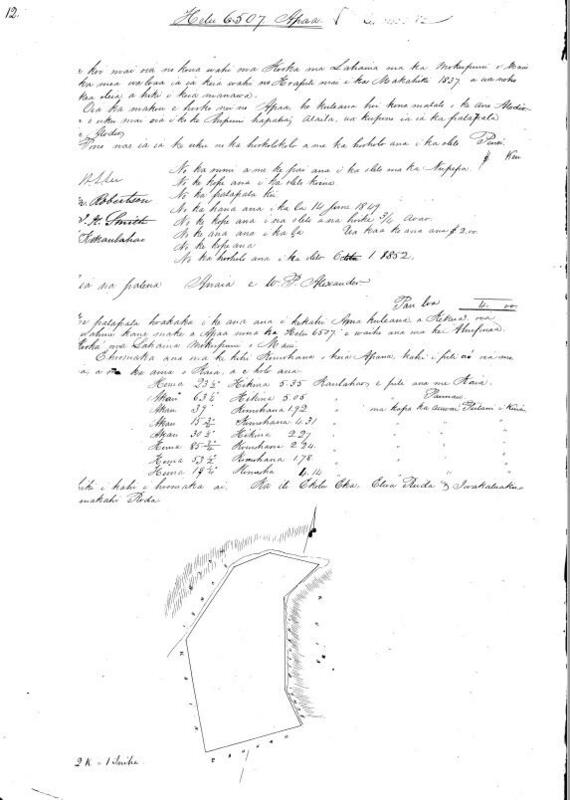 A scanned copy of the original Land Commission Award 6507, 'Apana 1, which granted 3.5 acres of land in Kaua'ula to Ke'eaumoku Kapu's great-great granduncle Apa'a in 1857. 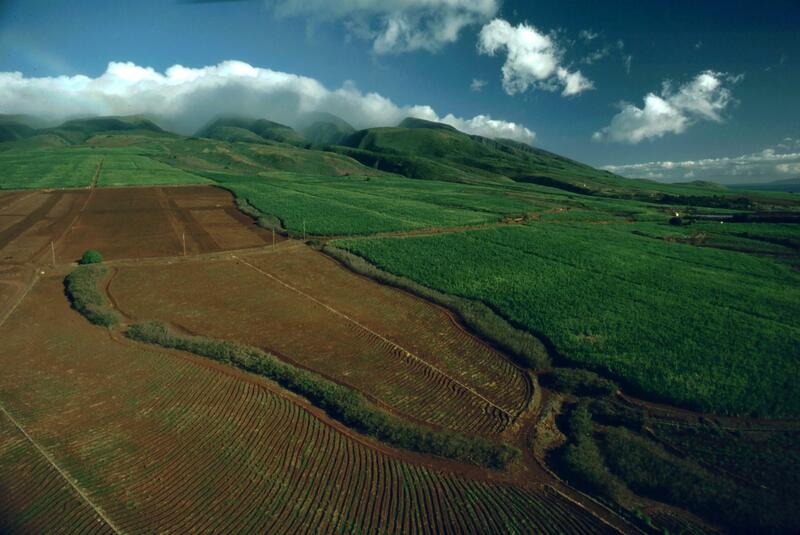 The land was originally awarded to his family in 1857 under what is known as the Kuleana Act of 1850. Attorney Lance Collins represented Kapu. "The Kuleana Act allowed individuals to make claims for the parcels that they were living and growing things on," explains Collins, "I think 21,000 or 22,000 claims were made and I think it was like 12,000 claims were granted." Land Commission Award 6507, ‘Āpana 1 was granted to Kapu’s great-great grand uncle Apaʻa. 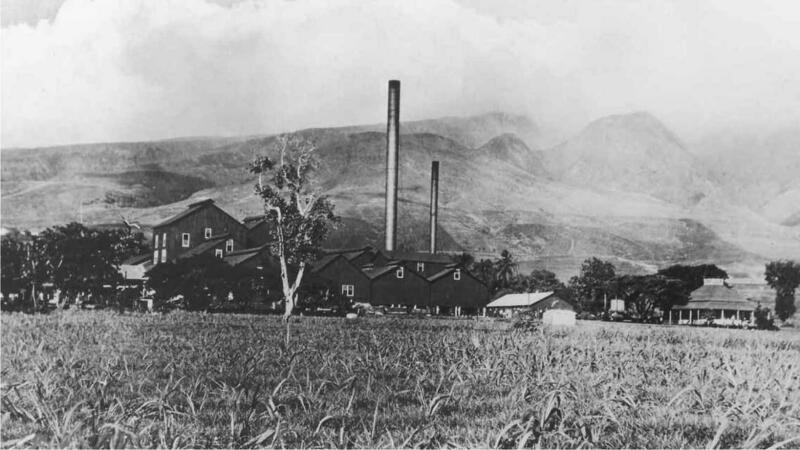 Pioneer Mill Company cultivated sugar in Lahaina for 138 years from 1862 - 1999. 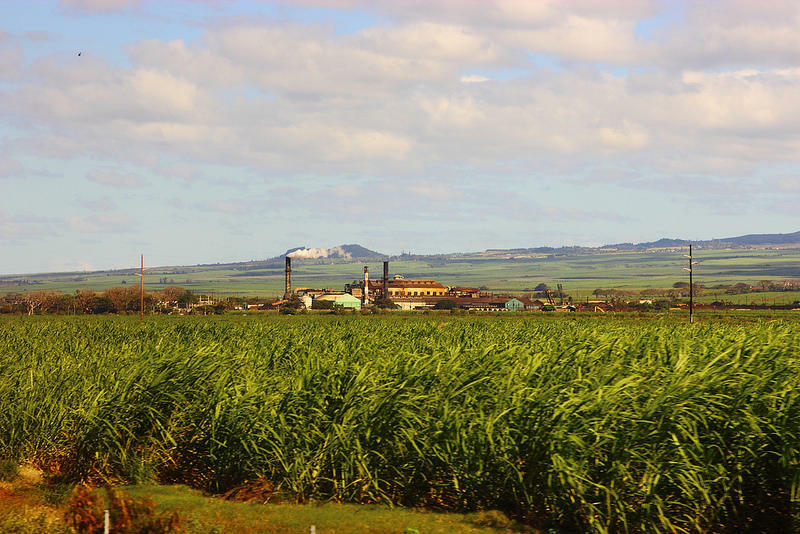 Five years later Pioneer Sugar Mill began operations in Lahaina, expanding its reach to nearly all of the available land in the district by the 1890s. Aerial view of the Kaua'ula, Lahaina region on Maui. "Pioneer Mill in 1999 started selling off a lot of their holdings," says Kapu, "They sold 5,000 acres for $50 million to West Maui Land Company and not long after that, they started filing all these quiet title adverse possession claims." New landowners commonly establish clear title by filing quiet title lawsuits, and thus “quiet” any challenges or claims to the property by descendants of kuleana land owners, like Kapu. Ke'eaumoku Kapu (second from left, in black), Attorney Lance Collins (second from right, in suit), are joined by family and supporters at Maui Second Circuit Court. "The case was brought by Makila Land Company, which is an affiliate of West Maui Land Company," says Collins, "They claimed that they owned this because they got a deed from Pioneer Mill who in 1892 got it from a person claiming to be related to the original awardee of the land commission award." Over four days, Collins convinced the second circuit court jury that person did not exist--making Kapu the rightful heir to the property. "There's no evidence that this person existed," says Collins, "It appears that somebody just made it up, 'Oh I’m related to so and so and I’m giving it to Pioneer Mill.' In those cases, all of it is subject to challenge." Kapu works his lo'i kalo in Kaua'ula. He hopes to bring lo'i kalo to his newly reclaimed ancestral land as a means of sustaining his family with kalo. As more and more former plantation lands are bought up across the island state, quiet title actions will likely continue. "I hope this can serve as a template for others who are seeking redemption for their families and their kuleana lands," says Kapu.